The Mk5 Series of safety cabinets from AES Environmental. Designed and built in Australia, Email Air Handling cabinets are ideal for laboratories seeking reliable and easy to use equipment. The Mk5 series is manufactured in Sydney, Australia and in full compliance of AS 2252.2, AES Environmental is NATA-accredited and complies with ISO 9001:2008 Quality Certification. 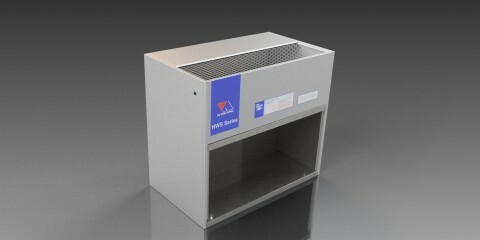 Within the division of AES Environmental, the Mk5 series includes the latest safety cabinets from Email Air Handling. Designed and built in Australia, Email Air Handling cabinets are ideal for laboratories seeking reliable and easy to use equipment. 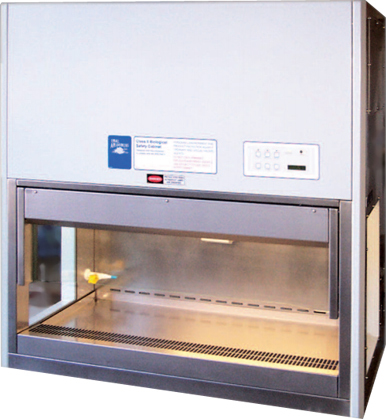 The Mk5 range includes models to cater for most typical applications, including Class I & II biological safety cabinets. Beyond this scope the company also has extensive experience in engineering products for specialist applications. These cabinets have been made for critical working environments, so all equipment fully complies with the relevant Australian Standards. HEPA/Absolute filters are installed, each one being factory tested to AS 4260.2 to ensure 99.99% minimum efficiency and scan tested to AS 1807.6. These filters are manufactured by Email Air Handling in Australia. Designed as modular workstations for use in laboratory applications, your Mk5 Class I & II cabinets protects the operator from the risks posed by biological agents while providing contaminant-free work zones for the protection of cultures and samples. High-efficiency filters and fans deliver quiet operation and safety. Negative pressure zones surround all positive pressure areas, eliminating the possibility of contaminated air bypassing the filter or escaping from the cabinet. Outer shells are gas-tight for safe decontamination. A clever interlocking switch design prevents accidental exposure to UV light. Should the front window be opened whilst the cabinet is in use an override program ensures your safety by automatically adopting a class 1 bio-safety mode. This feature will auto-cancel when the front window is closed again. The modern, proven control panel provides one touch access to all functions including servicing. A fully integrated self-diagnostic processor with digital status display backed up by an audible and visual alarm guarantees your safety. An internally mounted, exhaust HEPA filter adds to the stylish features and modern design of the cabinet by freeing the outer shell from protrusions. The work area is large, airy and bright. Light pours in through large toughened glass sides and a wide pneumatically assisted front window. The stainless steel work tray is reversible on Class II & Cytotoxic models, giving you the choice of a flat work table or a generous spill containment tray.